Jean-Philippe Delhomme. Marina Abramović at MoMA. 2010. Gouache on paper. 11 x 15 inches. Georce Tice. Petit's Mobil Station. 1974 / printed 2010. Platinum palladium print. 30 x 40 inches. 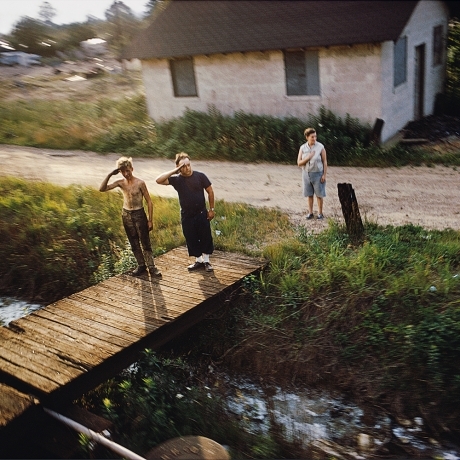 Paul Fusco. Untitled from RFK Funeral Train. 1968 / printed 2008. Cibachrome. 36 x 24 inches. Jim Krantz. Epic Western #7. 2008 / printed 2009. C-print. 36 x 46 inches. Jean-Philippe Delhomme. Chelsea in the Summer. 2010. Gouache on paper. 15 x 11 inches. Viviane Sassen. Lilac. 2009. C-print. 39.4 x 31.5 inches. Ryan McGinness. Untitled (Ice Cream Trees). 2007. Unique silkscreen on craft paper. 36 x 25 inches. Robert Mapplethorpe. Lydia Cheng. 1987. Gelatin silver print. 19 1/4 x 19 1/4 inches. Annie Leibovitz. Leigh Bowery, New York City. 1993 / printed 2010. Pigment print. 20 x 24 inches. Annie Leibovitz. Cindy Crawford. 1993 / printed 2009. Pigment print. 20 x 24 inches. Len Prince & Jessie Mann. Popsicle. 2007. Gelatin silver print. 20 x 24 inches. Bernd & Hilda Becher. Water Tower: Broome St. / Mercer St. 1978. Gelatin silver print. 23 x 19 3/4 inches. Ezra Stoller. TWA Terminal. Architect: Eero Saarinen. 1962 / printed c. 1996. 16 x 20 inches. Ezra Stoller. TWA Terminal at Night. Architect: Eero Saarinen. 1962 / printed c. 1996. Gelatin silver print. 16 x 20 inches. 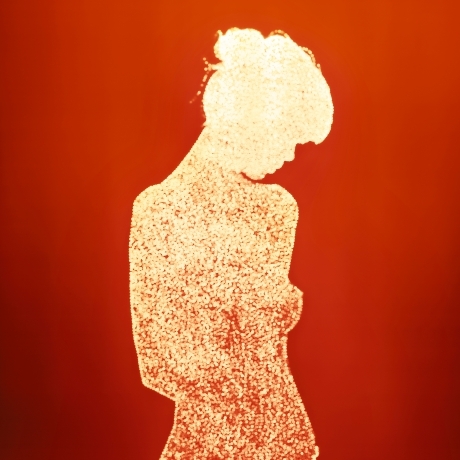 Christopher Bucklow. Anima 7. 2009. Cibachrome. 40 x 60 inches. Ormond Gigli. Girls in the Windows. 1960 / printed 2008. Pigment print. 34 x 34 inches. Starting off our summer program, Danziger Projects is presenting a group exhibition and installation titled "The Art Fair is Present". While on one hand a sampling of what the gallery shows, on the other hand the exhibition calls into question the practice and convention of how art is viewed in galleries, how information is provided, how commerce is conducted, and to what extent communication (or the lack of) is a part of the process. Installed in the manner of an art fair booth with a variety of works displayed and clearly identified and priced, the installation will incorporate a table and chairs within the public gallery space at which the gallery director or a member of staff will be available at all times to talk to visitors about the work on view and the general concept of the show. Contrary to the Chelsea convention where the visitor is often purposely ignored, our aim during the show is to invite a dialog. In this way, the exhibition will address the differing ways art is viewed in a commercial context, and by extension how presentation and communication affect the gallery going experience. Summer hours: Tuesday- Friday, 11 a.m. to 6 p.m.